Companies increasingly are playing an outsized role in U.S. elections. In many cases, they donate money to advocate controversial policies that could antagonize their customers and undermine their businesses. Because so many of these contributions are not disclosed, however, shareholders are left in the dark and unable to evaluate potential conflicts or risks. Investors are demanding improved corporate disclosures through shareholder resolutions and by urging the Securities and Exchange Commission to adopt new rules. Despite hundreds of thousands of letters from investors urging the agency to take action, it dropped the issue from its list of regulatory priorities earlier this year. While some companies have done the right thing by making all their political expenditures public, there are still too many publicly listed ones that refuse to raise the veil of secrecy regarding their political giving. The Teamsters invests more than $100 billion in the capital markets through affiliated pension and benefit funds. In addition, our members trade as individuals and as participants in employer-sponsored plans. We are part of a growing chorus of shareholders concerned about political spending. In addition to tackling governance issues including successes against the dual-class share structure at Swift Transportation and the golden parachutes at Gannett, we have sponsored and supported resolutions calling for improved disclosure and oversight of political expenditures. We also have consistently urged the SEC to adopt meaningful disclosure requirements to provide investors a more accurate accounting of Corporate America’s political giving. Some argue that groups like so-called super-political action committees, organizations that pool large sums of contributions, already have to disclose donors. That leads to disclosure of corporate spending, or so the argument goes. But the advent of tax-exempt groups trashes this theory, as these entities have increasingly become the vehicles of choice for corporations to influence politics in secret. Others make the case that social welfare groups already report the identity of donors to the Internal Revenue Service. While that is true, the national tax collector is not allowed to make those names public, and organizations are allowed to edit out the names and addresses of contributors. All that leaves is contribution amounts, which, while helpful, does not shed light on who is giving to a group. Finally, a few choose to wave the flag and say their donations are covered by free speech protections under the U.S. Constitution. These same people, however, are unconcerned about the extreme disclosure requirements to which unions are subjected. Under the Labor-Management Reporting and Disclosure Act, unions must report for both themselves and state and local affiliates an itemization of all political spending to any recipient that amounts to an aggregate of $5,000. If unions can do it, so can big business. Besides, requiring disclosure does not inhibit a company’s First Amendment rights; it just adds more transparency and accountability to its shareholders. Even the U.S. Supreme Court in its faulty Citizens United decision said disclosure was an important piece of the puzzle. The regulatory shortcomings overlooked by the justices helped dark money surge in the 2012 elections to more than $300 million, as reported to the Federal Election Commission. The pharmaceuticals sector is a prime example. In 2008, the industry’s trade association, the Pharmaceutical Research and Manufacturers of America, spent less than $200,000 on federal elections, using only money bundled from transparent individual contributions, mostly from drug company executives. In the following election cycle, after Citizens United, the group spent $10.4 million, nearly all of it from undisclosed corporate sources. There is a lot at risk for shareholders when companies make questionable donations. Investors in Target learned this the hard way when the retailer’s 2010 contributions to an anti-gay marriage gubernatorial candidate in Minnesota created a backlash against the company by the gay community. Those economic risks should not be underestimated, and investors have a right to know about them. Why should a shareholder be forced to rely on second-hand disclosure to find out where a company is donating money? There are almost 875,000 Americans who have signed a petition calling on the SEC to develop disclosure rules. The regulator also shouldn’t ignore the string of shareholder resolutions that show just how acrimony over the issue is rising. Growing corporate political donations need to be brought out into the sunshine. 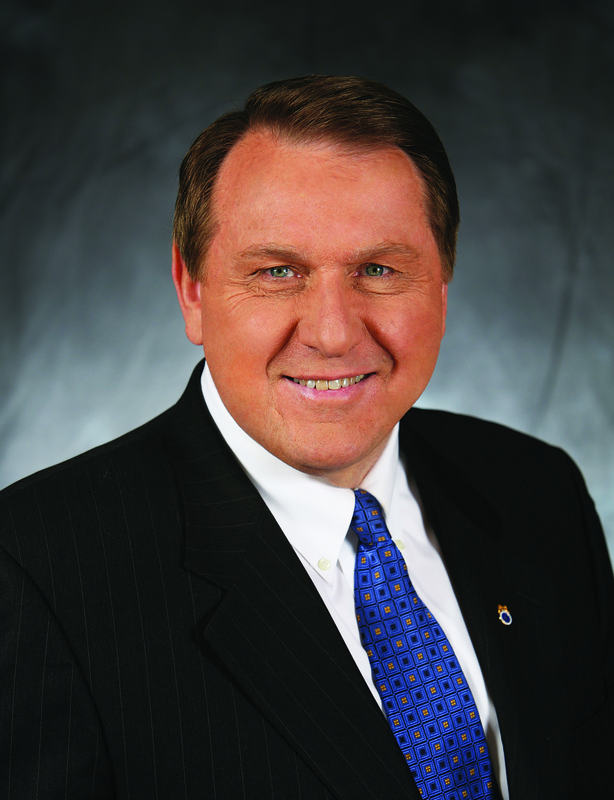 James P. Hoffa is the general president of the International Brotherhood of Teamsters. The union represents 1.4 million members.